Rent Kidspace Children's Museum | Corporate Events | Wedding Locations, Event Spaces and Party Venues. Inspire wonder and ignite creativity by hosting a private event at Kidspace Children's Museum. 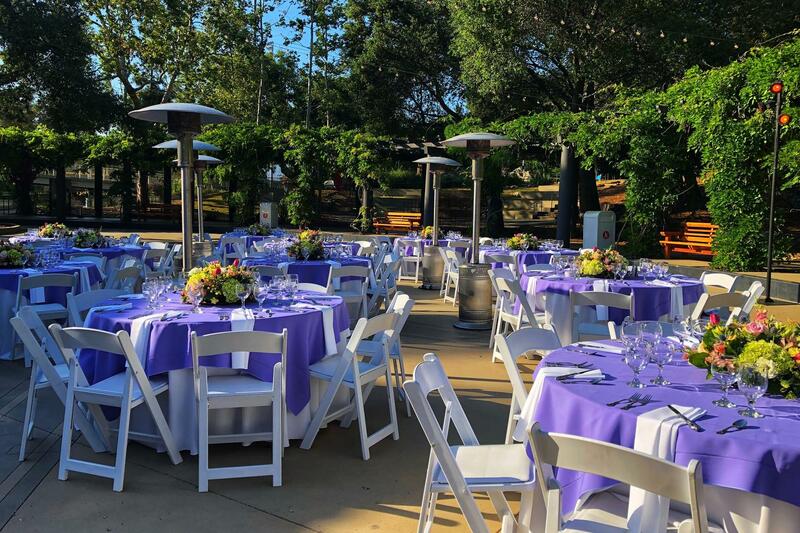 Whether you are hosting a meeting, birthday celebration, company picnic, baby shower, cocktail party, fundraiser, or black tie affair, you and your guests will enjoy an imaginative and unique event. Kidspace offers hands-on exhibits and learning environments which provide a variety of sensory and physical experiences in the natural world. Families investigate the properties of water as they interact with our water features while Museum Educators are always close by to facilitate interactive programs such as leaf rubbing by the Wildlife Pond or a nature hike. Children can also strengthen their motor skills by climbing the Rootwad Climber, traversing the Strata Wall, or role-playing on the Spider Climber. An incredible seed bed of learning and discovery, the purpose of a children’s museum is to inspire children to learn and grow, equip parents and teachers, and to be a safe place where learners of all abilities can do so at their own pace and focus on topics of interest to them. This is often refered to as “Free Range Learning.” What makes us different from a school is our approach to informal education. We believe in giving our guests hands-on experiences that are relevant and inspiring.